Ancient Royal Tours is a Travel Company based in Cairo � Egypt, committed to provide travel & related services to clients worldwide. Our philosophy is all about making your trip as simple and perfect as possible. Ancient Royal Tours has a remarkable high profile incoming business with several well-known tour operators all over the world and outgoing business to some Asian and European destinations, beside our office in Riyadh - Saudi Arabia, operates perfect outgoing business to different destinations in the region such as Syria, Lebanon, Jordan, Oman, Tunisia, Libya, Morocco through our partners worldwide to provide you with the best facilities anytime, anywhere. Ancient Royal Tours is full licensed, bonded and insured and an active member of the Egyptian Travel Agents Association (E.T.A.A.) and the International Air Transport Association (IATA). 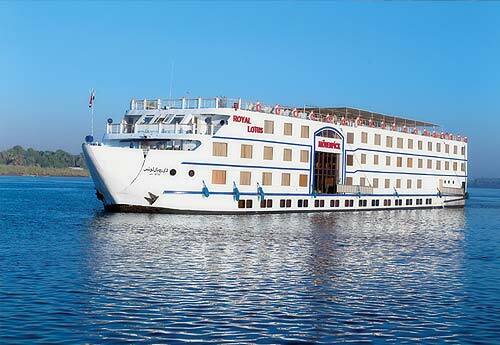 - Hotel, Resort and Nile Cruise bookings. - Meet & Assist services upon arrival and departure at the Airport in all major cities in Egypt. - Arranging all kind of transportation by Air-conditioned Buses, Cars or Coaches. - Field Coordination, Logistics & Professional Transfer Services with our own buses. 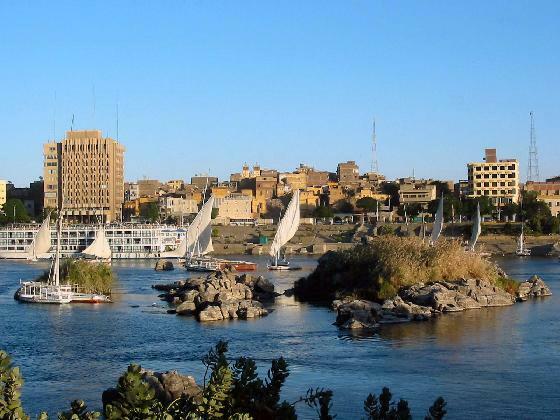 - Historical site visits accompanied by professional Egyptologists. - FIT (Free Independent Traveler) Services. - Special Interest Groups & Ad Hoc Groups. - SPA and Medical Treatment. Ancient Royal Tours deals with a selection of international charter companies on a regular basis. The frequency of flights and amount of arrivals demand prompt decision-making and firm answers. Ancient Royal Tours understands the needs of charter operations and is fully prepared to deal with them. Ground transport, hotel reservations, and round-trip tour programs are all aspects of charter operations that Ancient Royal Tours handles efficiently and reliably. The same high level of services offered to groups and charters is extended by this department to meet the special needs of the high-end traveler assuring comprehensive, personalized service. Ancient Royal Tours techniques which provided for every aspect of an enjoyable trip are the result of extensive experience. Five Star Tours & Travel ensures that the guests are made to feel as comfortable as possible. From the moment of arrival until departure, our field coordinators will assist the group in any way they can, this adds value to tour programs by ensuring the smooth running of all its aspects. It is a position Ancient Royal Tours introduced to the industry 12 years ago. Comfort is the key to enjoyable travel, and Ancient Royal Tours fleet of transport vehicles� provide it. From coaches and mini-buses to VIP and 4-wheel drive vehicles, the Minerva fleet guarantees safe, attractive ground transport for any size group. Ancient Royal Tours places a strong emphasis on schedule organization of its fleet of coaches. Our friendly, multilingual staff speaks your language. They�ll meet and assist you with a smile at the moment you reach any Airport in Egypt. Special assistance can be provided upon request. With our own fleet of modern cars, mini-buses and buses, Ancient Royal Tours provides comfortable transfers between airport and hotels and vice versa. Upon request, we would be pleased to organize special transfers, limousine transfers or transfers in Rolls Royce cars. For all clients booked through Ancient Royal Tours, we apply for tourist or transit visas issued within a few days. Last minute bookings can also be arranged. Ancient Royal Tours offers the highest level of service for major international cruise liners to plan and operate over-day or over-night visits to Cairo, Luxor, Aswan, Hurghada, Sharm El Sheikh, Alexandria or any other city in Egypt. The Support Services Department is designed to give prompt, reliable answers and provide solutions to all Client demands it handles the essential aspects of travel arrangements and through an intimate knowledge of the local market and facilities, passes price and quality advantages on to the Client. Ancient Royal Tours boasts vast and unparalleled expertise in the global MICE Travel industry. Having pioneered Incentive travel to Egypt over twenty years ago, our staff has earned an intimate understanding of the nature of business travel. Experiencing the birth of a new market for creative and unique ideas has shaped what is today the region�s leading body of MICE executives with a passion for novelty. At Ancient Royal Tours, we offer the full range of development and management services for overseas business; meetings, conferences, exhibitions and incentive travel programs. Our clients range from government agencies to private industry leaders and come from around the world. Our employees bear a profound understanding of international conference culture and the world-class standards that constitute business meetings. Ancient Royal Tours expertly covers all pertinent routines and procedures, maintaining maximum flexibility for client demands. Good Incentive programs demand innovative minds. At Ancient Royal Tours, we understand the nature of employee motivation and the value of novelty. Our employees undergo regular and rigorous training, attend international. - Planning for M.I.C.E. programs. - Logistics for Incentive programs, generated from national and international markets. - Design and implementation of events, either as part of incentive programs or separately. - Planning and execution of Product Launches. - Planning, development and implementation of Team Building activities and programs. - Contact Ancient Royal Tours to organize your overseas MICE event today. Our staff expertly covers all conference routines and procedures, delivering the highest quality of organization services with memorable novelty. Ancient Royal Tours enjoys a good degree of independence owing to minimal outsourcing and as such, promises to deliver reliable services with no delays, setting the stage for a smooth and successful conference. PCO services are available on a modular or full package basis and can be modified or tailored to suit client needs. The development and management of corporate events is an art that requires an intimate understanding of our clients and their needs. Ancient Royal Tours Services, member to IATA, fosters paramount appreciation for the value of detail and the importance of good logistics and reliable efficiency. Our mission is to deliver unique, personalized and cost-effective services, through maintaining profound relationships with each of our clients, and dedicating our efforts to achieving thorough knowledge and expertise in their respective fields of industry. - Conference organization at any city in Egypt. - Event Management at any city in Egypt. - Design and implementation of Corporate Motivation Programs. - Airline reservations and ticketing for all domestic and international destinations. - Meet & Assist and Transfer services at any city in Egypt. - Visa assistance in just a few days. - Joint issue of travel insurance with most of international insurance companies in Egypt. - Car rental, hotel and cruise bookings. - Negotiation of special corporate airfares and hotel contracts. - 24h Emergency services, including after-hours internal phone contact. Ancient Royal Tours provides numerous international travel services for individuals and groups throughout its extensive network of overseas suppliers. We guarantee world-class, personalized experiences with maximum flexibility. - Organization of group travel, tours and excursions. - Designing overseas Incentive programs. 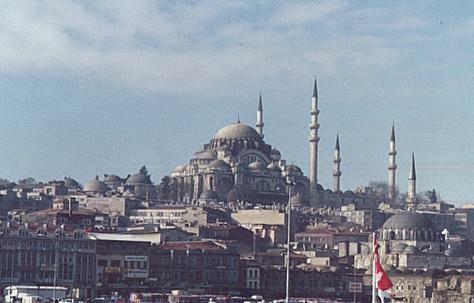 - Promotion of overseas conferences with related hotel and venue bookings. Mr. Mohamad Mokhtar, President & Owner, (mokhtar@ancientroyal.com), has been in the travel industry since 1980, having owned and operated Ancient Royal Tours for 12 years. He opened Ancient Royal Tours in 1999. Mr. Mokhtar has traveled extensively and specializes in group travel, international travel, and customizing itineraries. He is very adept in negotiating discount rates for groups and organizations. His unique personality makes him has a fantastic ideas in creating special and unique packages. Also, he has a special skills in International Aviation Industry which makes him one of the most famous Aircraft Brokers/Dealers in Egypt.